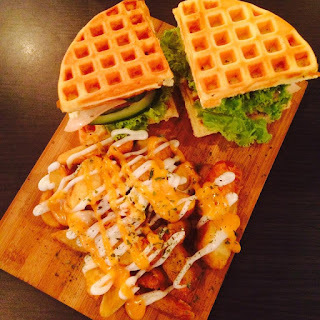 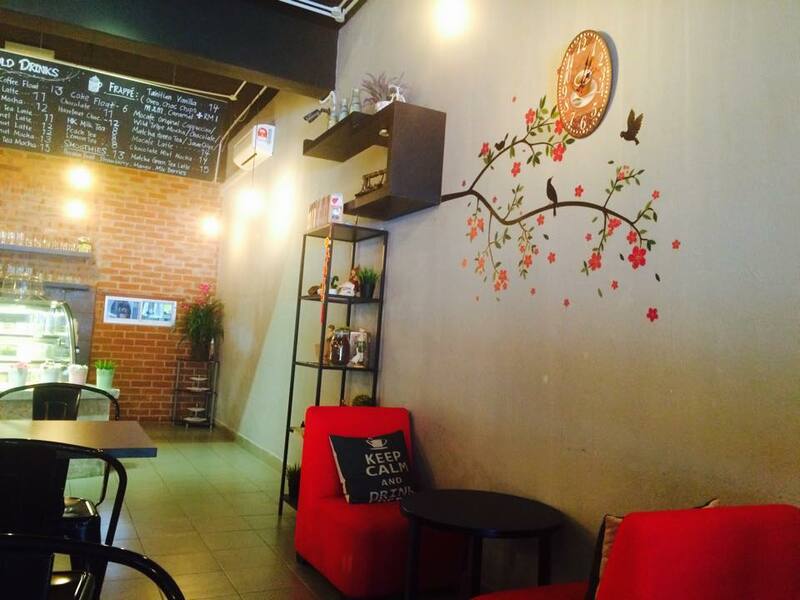 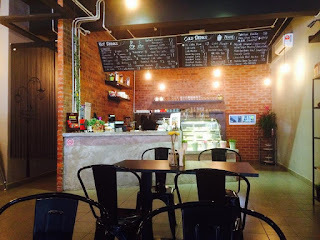 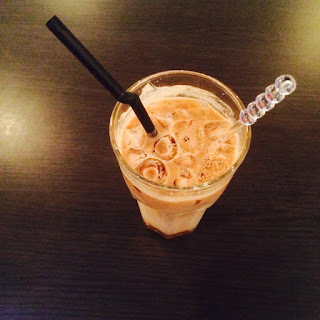 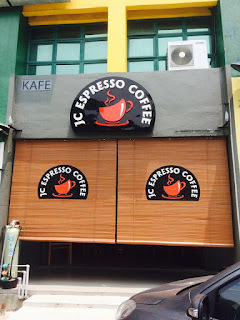 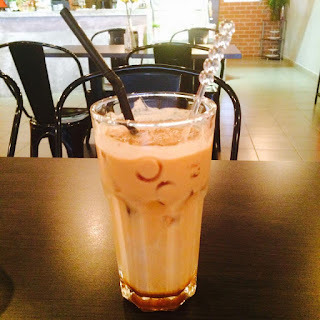 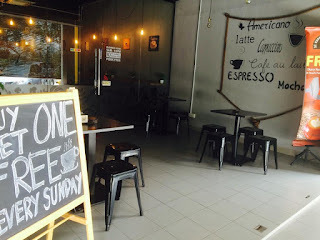 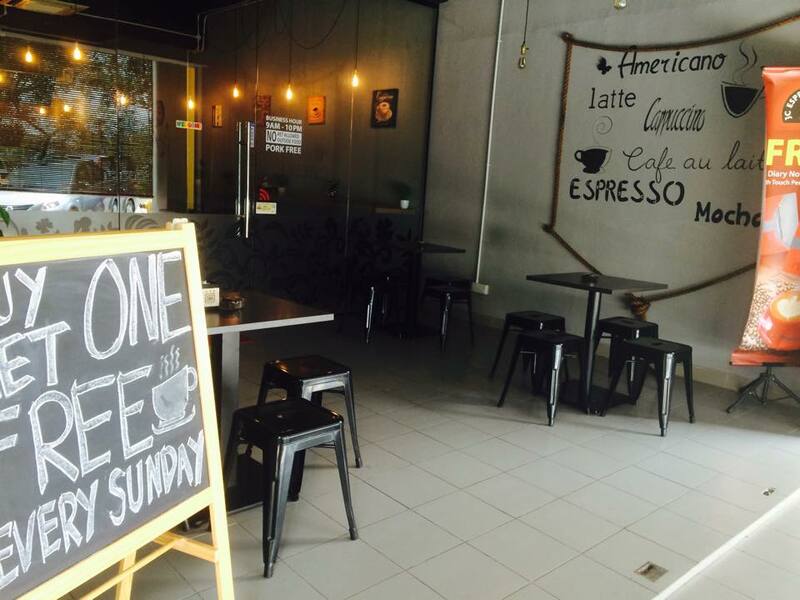 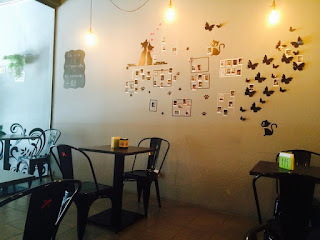 JC Espresso Coffee is another neighbourhood cafe in Bandar Sri Damansara. 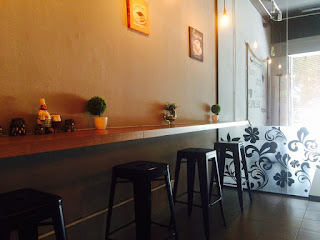 A nice simple design for the interior of the cafe. Plenty of seats to house a lot of customers. 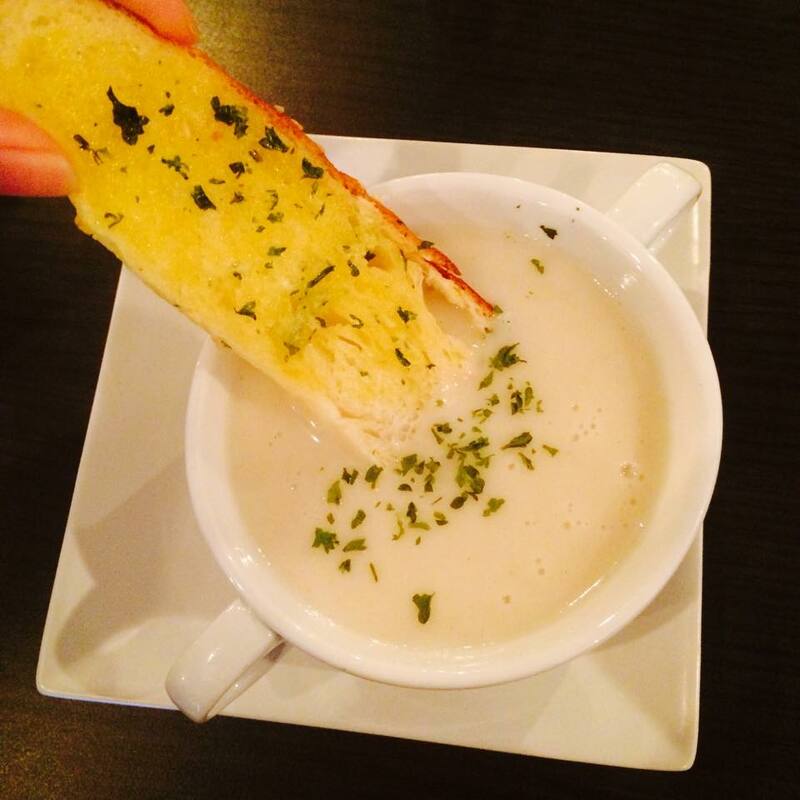 This would be your typical mushroom soup from the cans / packets bought from stores. It's still nice since I actually like the ready-to-go soups hehe. 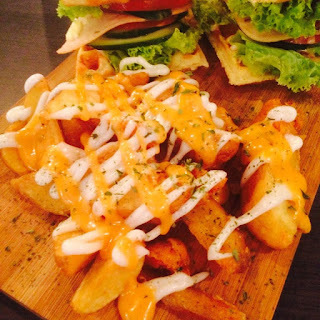 Tomatoes, cucumber, chicken ham, cheese, greens and potato wedges. 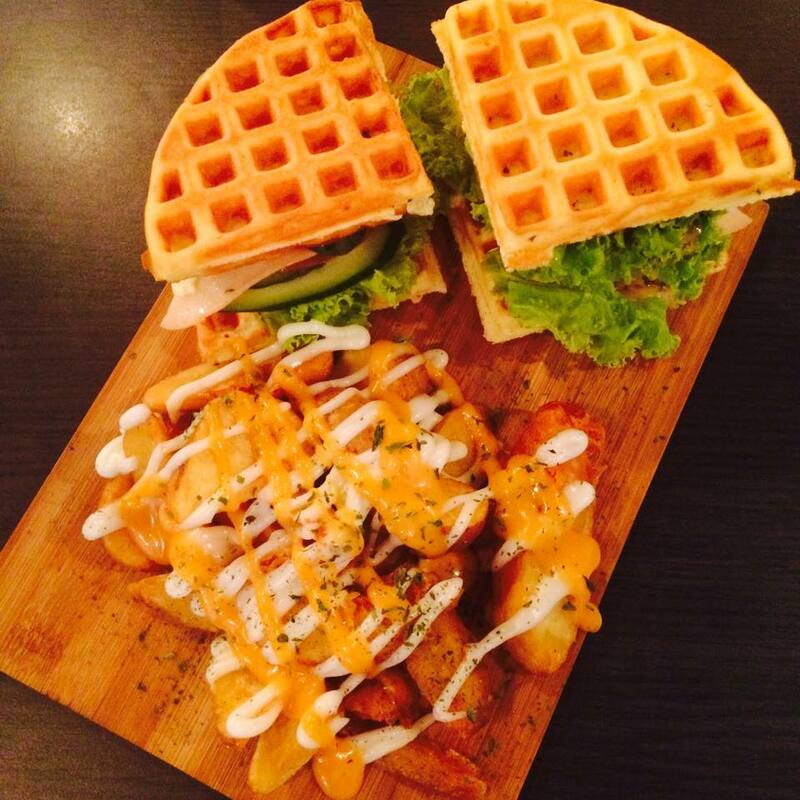 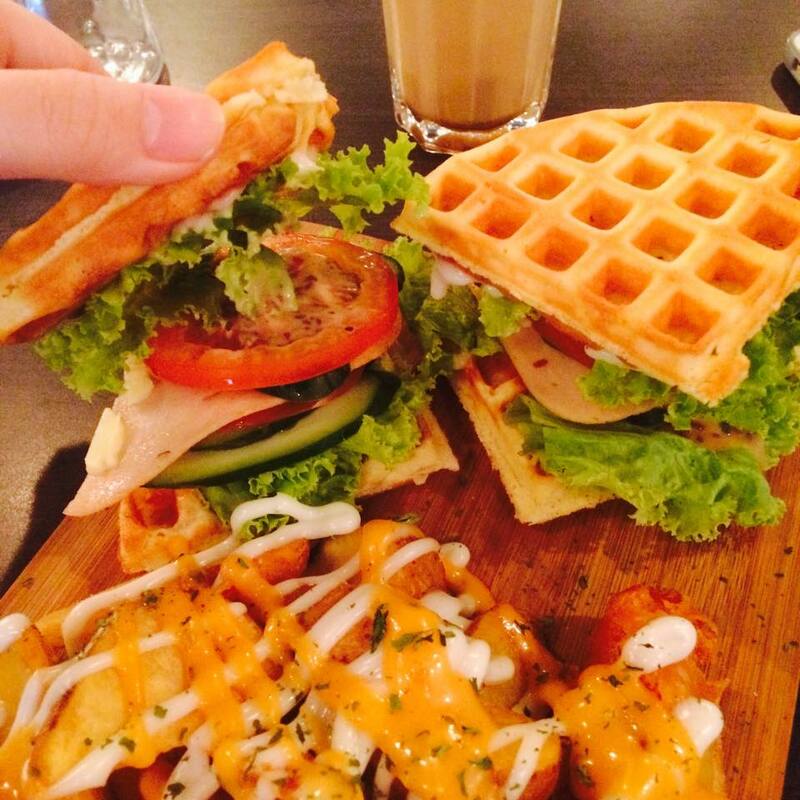 It's like your typical sandwich but this time with waffles instead of buns. 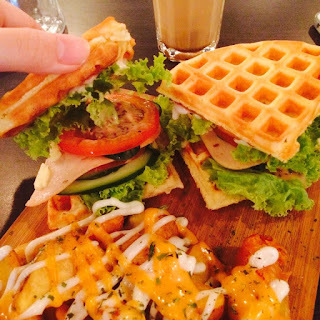 The waffles were a tad bland tbh. 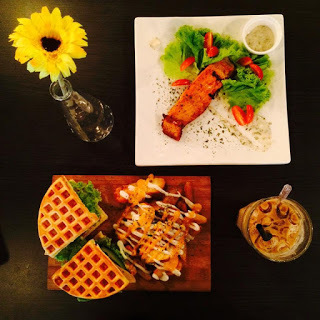 No eggy taste nor it was crispy. The potato wedges were fried to perfection for a fried food lover like me. 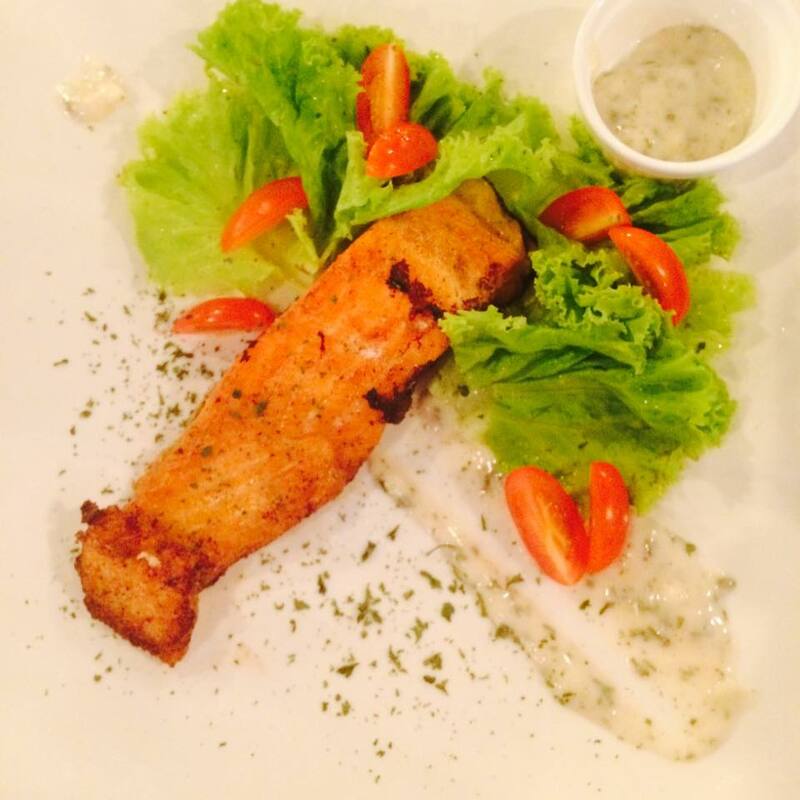 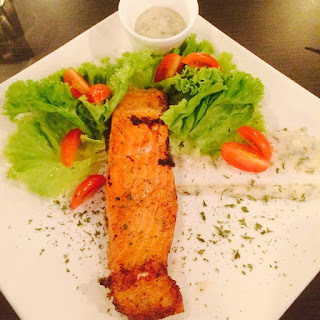 The salmon was actually alright, it was fresh. I like the yoghurt dill sauce. A nice cup of iced caramel latte.